If you are charged with driving under the influence (DUI) in the Metro Atlanta area or anywhere in the state of Georgia, you must contact a criminal defense attorney at Spaulding Law as quickly as possible to help you avoid a DUI conviction. Call us at (470) 336-5562. 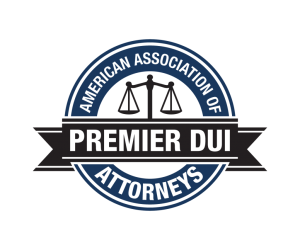 If you have been arrested and charged with DUI, we can help. A driving under the influence charge is a serious charge in this state. Penalties for a conviction include jail time, a driver’s license suspension, community service, steep fines, and more. The penalties for repeat offenders are even more severe, including a possible felony conviction – meaning that time in prison is likely for a convicted repeat DUI offender in this state. Beyond the legal penalties, a DUI conviction will raise your auto insurance rates, and if you drive for a living, you’ll have to find other work. If you hold a professional license in Georgia, a driving under the influence conviction puts that license at risk of suspension or revocation. Why Are DUI Cases Different From Other Criminal Cases? However, driving under the influence – usually – is one of the most unjustly imposed criminal charges in the entire criminal justice system. Why? Because many police officers form opinions about a driver’s impairment and make arrest decisions improperly. Were you stopped by the police without probable cause? Was your field sobriety test properly administered? How Can A DUI Attorney At Spaulding Law Help You? If the police violated your rights during an investigation, interrogation, search, or arrest, it’s possible that your attorney can have the charge against you dismissed. A criminal defense attorney at Spaulding Law will find any flaws in the officer’s investigation or in the state’s case against you. Your attorney then will explain why the driving under the influence charge against you should be dismissed or why you should be found not guilty. The goal in a DUI case is an acquittal or a dismissal of charges, but if the state’s case against you is conclusive and your conviction is a foregone conclusion, a skilled DUI lawyer will negotiate for an acceptable plea bargain and for minimum or alternative sentencing. The lead DUI defense attorney at Spaulding Law, Mr. Jeremy Hayes, is a member of the American Association of Premier DUI Attorneys (AADPA). He has special training in DUI defense tactics and – through AADPA – has access to abundant resources to help with your case. Mr. Hayes knows how police officers conduct DUI investigations and how to spot the mistakes they commonly make in these cases. Attorney Hayes also has substantial experience arguing appeals, and if necessary, he can continue your fight through the appeals process. Qualified DUI lawyers know which strategies and tactics work and which do not. DUI defense attorney Jeremy Hayes has the legal skills and experience and offers the aggressive representation that you will need to face a driving under the influence prosecution. When Should You Contact Us About A DUI Case? If you have questions, or if you need to speak personally with an Atlanta DUI lawyer, contact the offices of Spaulding Law – immediately – at (470) 336-5562. One of the most important keys to crafting the best possible DUI defense strategy is to act quickly. Time is critical. Reach out to our team about your DUI case today.